An angiogram is a radiological procedure which can be used as a diagnostic as well as a therapeutic procedure. This is considered as the gold standard test of assessing the arterial system of the body. Coronary angiogram assesses the coronary arterial vessels in heart disease and the peripheral arterial system is assessed in occlusive arterial disease. The test is important to detect and quantify coronary artery disease, identify valvular and other structural abnormalities of the heart and vessels and measure hemodynamic parameters. A coronary angiogram is the gold standard test of identifying the presence and extent of atherosclerotic coronary artery disease. Since it is also a therapeutic procedure, an angiogram is increasingly becoming available in the health care facilities. Though the angiogram is an invasive test, it is usually done under sedation and local anesthesia. An angiogram is a painful procedure, especially when the contrast medium is injected into the vein. The pain and the discomfort experienced by the patient is minimized by the sedatives and the local anesthetic drugs. 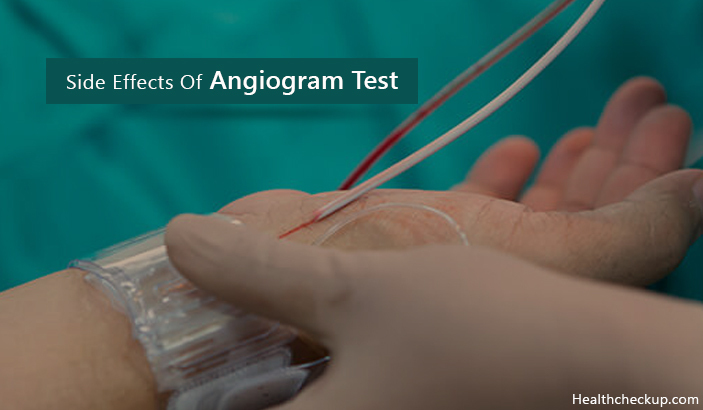 Even though the test itself provides significant benefits to the patient, there are many side effects of the angiogram test which can be sometimes fatal to the patient. Side effects of angiogram test may vary from minor problems with short term sequelae to life-threatening situations which may cause irreversible damage. Allergic reactions following the procedure are considered as an important side effect. Allergic reactions can occur because of the anesthetic agent and contrast media. Allergy to the local anesthesia is a very rare complication. General anesthesia is not routinely needed, but only sedative drugs are used to make the patient comfortable during the procedure. Close monitoring of the patient’s vital parameters is required because drugs like midazolam and fentanyl can cause respiratory depression and hypotension. Adverse reactions from the contrast media can occur as an anaphylactic reaction. This can occur in patients with bronchial asthma and other known allergies. Contrast-Induced Nephropathy (CIN) is one of the most feared side effects of angiogram test because it can have significant long term effect on the patient. CIN has been defined as a rise in serum creatinine more than 25% from the baseline value. The nephrons of the kidneys get damaged by the injected contrast medium and kidneys start to deteriorate in their function. Preexisting renal insufficiency, diabetes, age, along with osmolality and volume of contrast used are the most significant risk factors for developing CIN. Because of this patient with severe renal insufficiency cannot undergo this procedure. Prior to performing the test, assessment of the renal functions of the patient is mandatory to exclude preexisting renal failure. Vascular access site complications are the most common and most significant contributor to morbidity and mortality of the procedure. Radial artery and femoral artery are the commonly used access sites in the angiogram. Major vascular injury can result in massive bleeding and need for blood transfusions with prolonging hospital stay. But the incidence has significantly lowered due to the improvement of expertise among the cardiothoracic surgeons and the use of advanced technology. Poor achievement of hemostasis in femoral artery sheath removal can result in hematoma formation. Larger hematomas are found to be causing deep vein thrombosis and nerve compression with sensory loss. Formation of arterio-venous fistula is also a possible side effect that can occur after an angiogram. Dissection of the femoral artery is an extremely rare complication, yet it should be known as a possible complication of the angiogram. 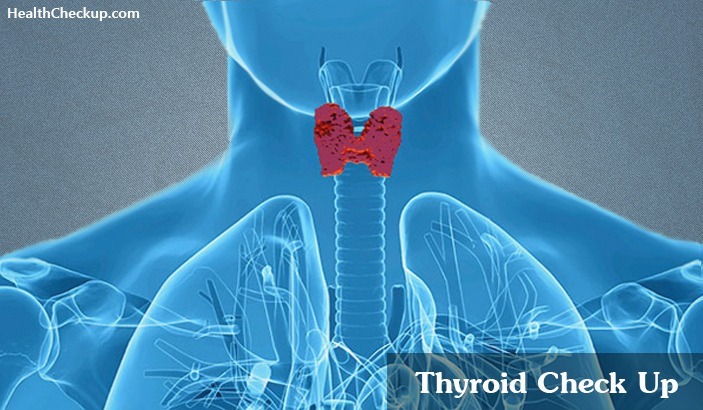 Thrombosis and Thromboembolism is also a known complication especially in females and patients with diabetes mellitus. During a coronary angiogram, the patient can develop myocardial infarction as a side effect of the procedure. In addition to that, they can also develop conductive defects in the heart causing bradyarrhythmias and tachyarrhythmias. Perforation of the great vessels or cardiac chamber is, unfortunately, a rare but a fatal complication of the angiogram. At the end of a successful angiogram, the result interpretation will allow the clinician to find out about the presence of occlusive atherosclerotic plaques in the arterial system. The size, site and the extension of the plaques can be clearly identified, and accordingly, the severity of the disease will be classified. The requirement of further surgical intervention will be decided on all above-mentioned facts and if needed the procedure will be converted into a therapeutic test. An appropriate stent will be inserted into the occluded artery to relieve the obstruction, in the therapeutic procedure. If the patient is revealed to have multiple vessel diseases at the end of the surgery, the patient will be referred to as open heart surgery. As the gold standard test of arterial system assessment, the angiogram reveals a pile of information which carries a great amount of importance. But the side effects of the angiogram test are commonly encountered by the patients, resulting in an additional worry among the patients with arterial disease. Yet the investigation is still considered as the gold standard investigation because the benefits if the test outweighs the adverse effects.